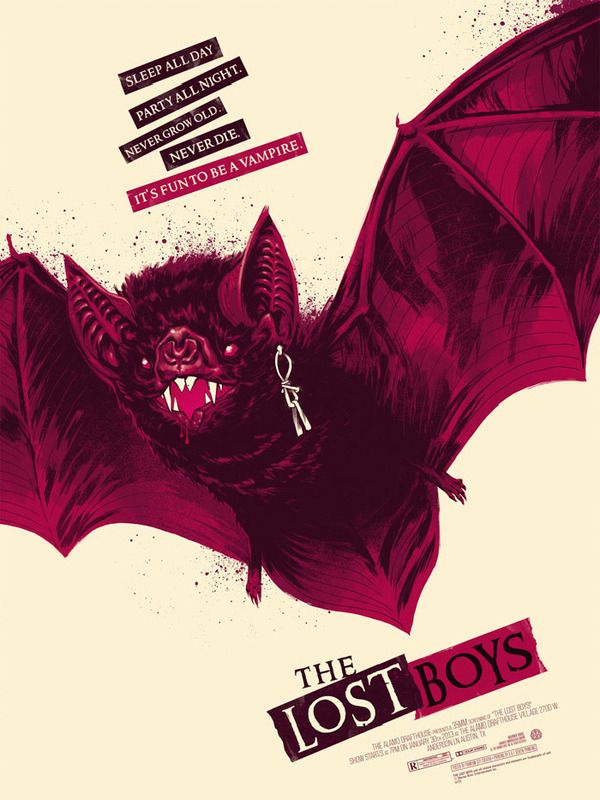 Mondo commissioned Phantom City Creative to come up with not one but two awesome designs for the much loved 80’s classic for a special screening of The Lost Boys. 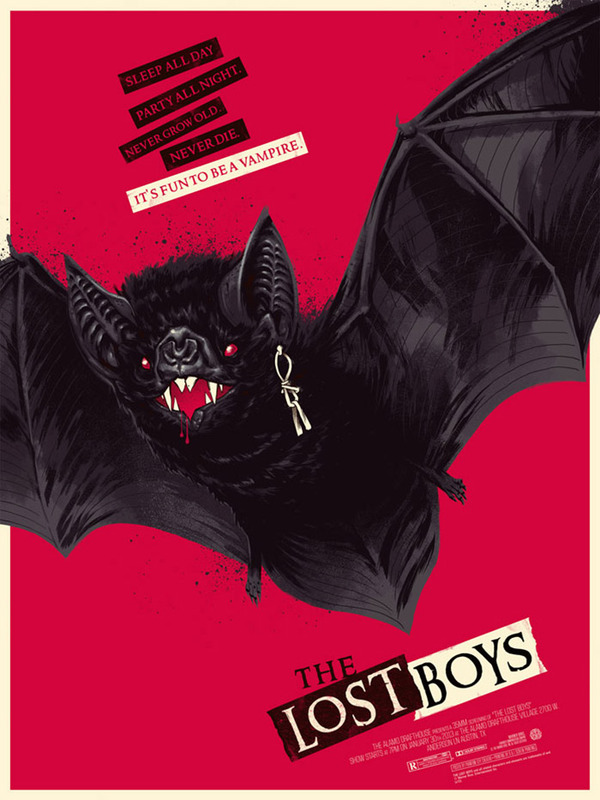 Above is the Bat version and it's variant. All sold out nearly instantly unfortunately for you collectors. Click here to see the other version.